After being announced this week, Samsung Galaxy A70’s price along with other specifications have been revealed in China. Samsung has also started the pre-orders of the Samsung Galaxy A70 in China, and the company has also listed the smartphone in India. Samsung India’s website has created a microsite which shows the details and the main features of the Samsung Galaxy A70 which mean that the device will soon be coming to the Indian markets. 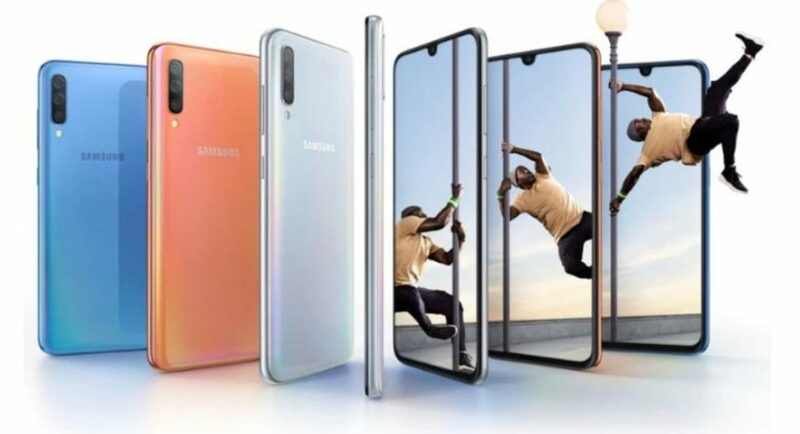 Samsung Galaxy A70 was announced at Bangkok alongside the Samsung Galaxy A80 that comes with a rotating camera. The Samsung Galaxy A70 comes with an Infinity-U display and is powered by an octa-core CPU. The Samsung Galaxy A70 is currently available for pre-orders on China’s eShop with varying prices on the different models of the device. The Samsung Galaxy A70 with 6GB RAM is priced at CNY 2,999 (approximately Rs 30,928) while the 8GB RAM variant of the device is listed for CNY 3,299 (approximately Rs 34,000). Although the Samsung Galaxy A70 has officially been launched but it will start selling from April 26 as per the company’s announcement. As mentioned above that the Indian market has not received the Samsung Galaxy A70, but the official Samsung website shows that the device is coming soon. So, we might expect the launch of the Samsung Galaxy A70 in the Indian markets in the next few weeks. The Samsung Galaxy A70 sports a 6.7-inch Full HD+ (1080 x 2400 pixels) Super AMOLED Infinity-U display with an aspect ratio of 20:9. The device is powered by an octa-core Qualcomm Snapdragon 675 SoC and is paired with 6GB RAM and 8GB RAM options. It also has 128GB of internal storage with support of microSD card of up to 512GB. The Samsung Galaxy A70 packs a huge 4,500mAh battery with 25W fast charging support and it has an in-display fingerprint scanner. On the camera front, the Samsung Galaxy A70 comes with a triple-rear camera setup which comprises of a 32MP primary sensor with an f/1.7 aperture paired with an 8MP ultra-wide-angle sensor with an f/2.2 aperture along with a 5MP depth sensor with an f/2.2 aperture. On the front, there is a 32MP selfie camera with an f/2.0 aperture. The Samsung Galaxy A70 runs Android 9.0 Pie skinned with One UI and it comes with dual-SIM support with a dedicated slot for microSD card. Other than the in-display fingerprint scanner, the Samsung Galaxy A70 also has the facial recognition support.